There’s water in my closet. It’s not that I hate the beach or swimming, or even drinking water. (I recently switched from soda to water and feel much better.) I just hate water in my house. I’m a reasonably good handyman. I own a garage full of tools. I can run wire and install electrical outlets. I can install drywall. I even can do the more difficult muddling and taping. I’ve patched my roof when a windstorm blew off shingles. And I can install water faucets, toilets and sink drains. . .and I hate it. My logic is sound. When you work with lumber, for example, it’s easy to see if a wall is straight, or if a baseboard is attached. You have immediate feedback. Electrical scares some people. It’s one of the few things in your house that is going to kill you if you do it wrong. And that’s why I enjoy it. Not the aspect of dying, of course. But, if you don’t do electrical correctly, you know it right away. The circuit breaker flips, or you get sparks, or it just doesn’t work when you flip the switch. If you work carefully and respect the fact that it can kill you, electricity is pretty straightforward. The problem with water is that it’s not like that. 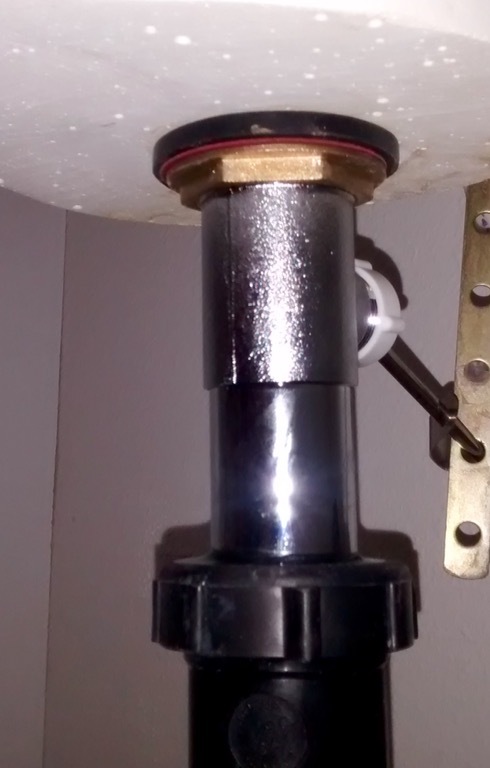 It’s not that hard to replace a faucet. You turn off the water. Pull off the old one. Install the new one. 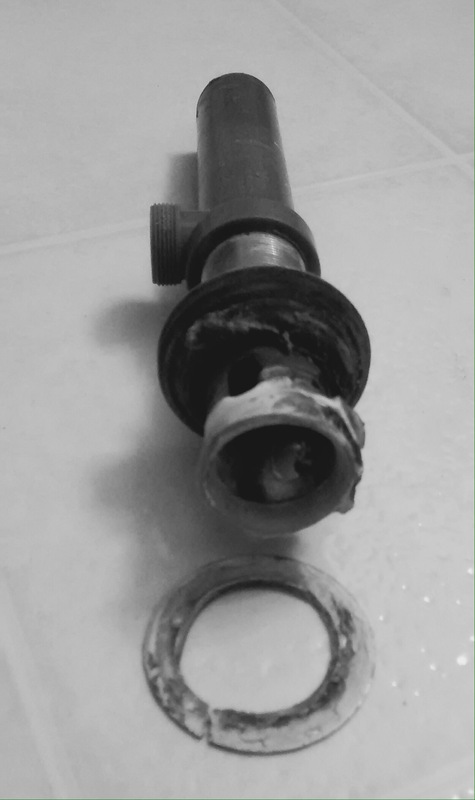 Turn the water back on. . And then start trying to figure out why the joint is weeping. Seriously, it’s like the connection is crying. The tears well up slowly and then a single tear trickles down the pipe. You aren’t done. You have to make the pipes happy and get them to stop crying. So, you turn off the water, disconnect the faucet pipes. Rewrap them with Teflon tape. Reconnect the pipes. Turn the water back on and watch it cry again. Worse is when the initial connection seems to be solid and then a month later you come back and realize that the cupboard under the sink has been absorbing the tears of the weeping pipes for weeks. That’s the problem with water. The problem may not be immediately obvious and then weeks later it can show up. Yes, I hate water. But, not enough to call a plumber. I don’t even know how much they would charge to simply show up. So, I dug out a flashlight and started poking around my son’s closet. Yep. There’s water dripping down. Fortunately the closet is empty. I considered how much of the ceiling I was going to have to remove to get to the leak. As I watched the pipes weeping, they seemed to start feeling a little better. In fact, the drips got less and less and finally stopped. Tell you what, put a pan and a towel down and let’s look at it in the morning. The next morning I started investigating. One of my bathroom sinks upstairs had water all over the shelves. 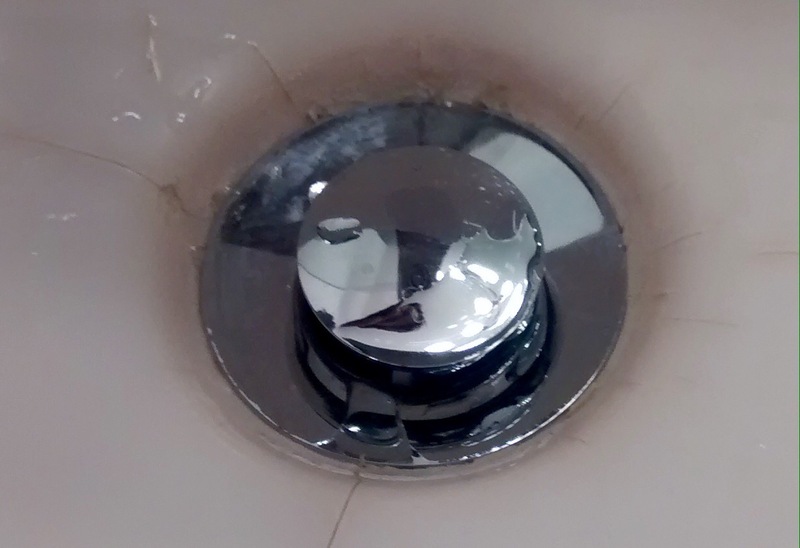 Eventually, we figured out it was a broken sink drain. Two trips to the hardware store. (No, you never get the right part the first time. At least I don’t.) And a new drain was installed. Of course, I ran water through it after I put it back together. There were no leaks. So, I can say with absolutely no confidence that It will no longer leak.